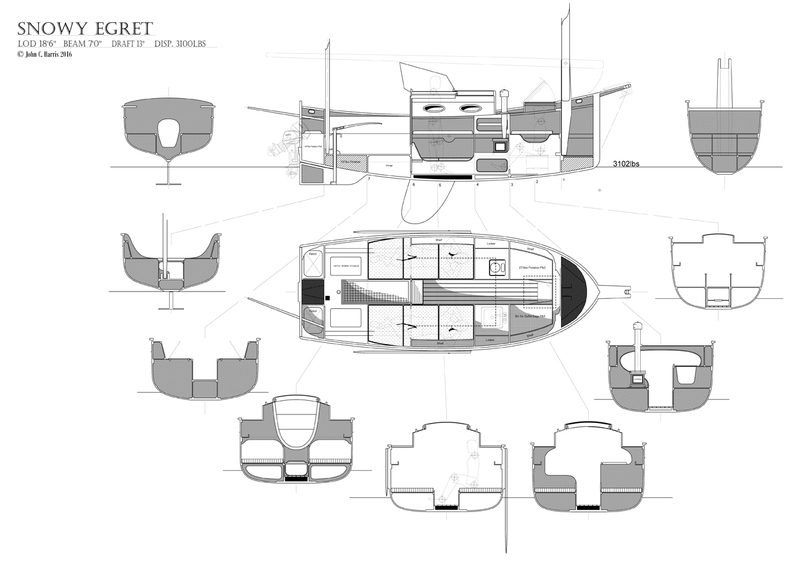 A few weeks ago I posted an article speculating, idly, on the prospects for a larger version of PocketShip. The response was energetic and sparked illuminating discussions about big amateur boatbuilding projects. 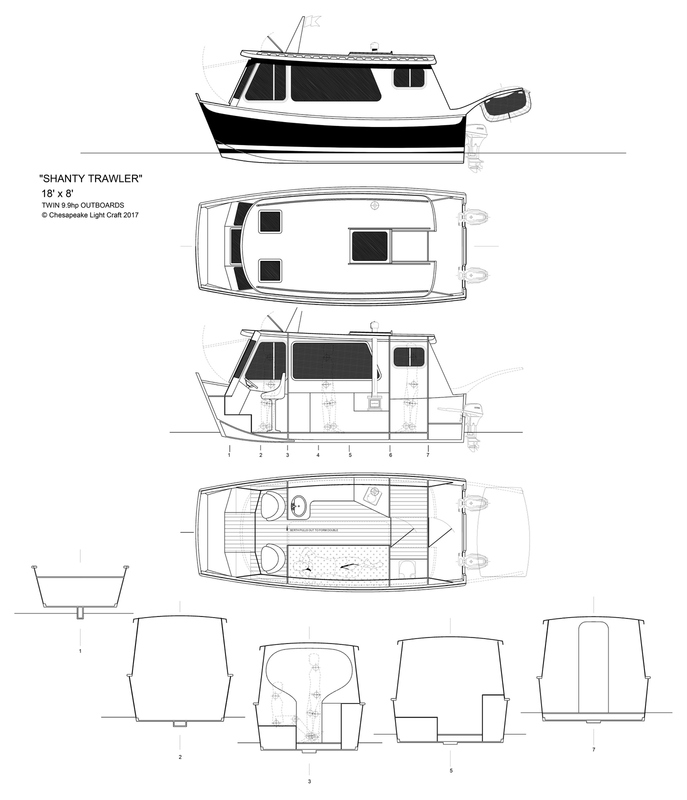 The general thrust of my post was to suggest that the economics of building large boats in the backyard should be examined carefully before ordering a truckload of timber, given how cheap used cruising boats have become. It was clear from the feedback, however, that plenty of you still appreciate the romantic notion of building a substantial boat and sailing away. And that while old fiberglass auxiliaries are being sold off by the pound, sailors are still attracted to distinctive designs. The big win by the 23-foot canoe yawl "Joy Spring" is gratifying, as it's among the best-looking of this random assortment, and relatively easy to build. Probably more surprising is that it scored so well even in the absence of an engine. Sailing without an engine is so completely out of fashion in 2017 as to be nearly unthinkable. Of course I got emails asking how an outboard might be fitted. Answer: it would be a little awkward, but not impossible. 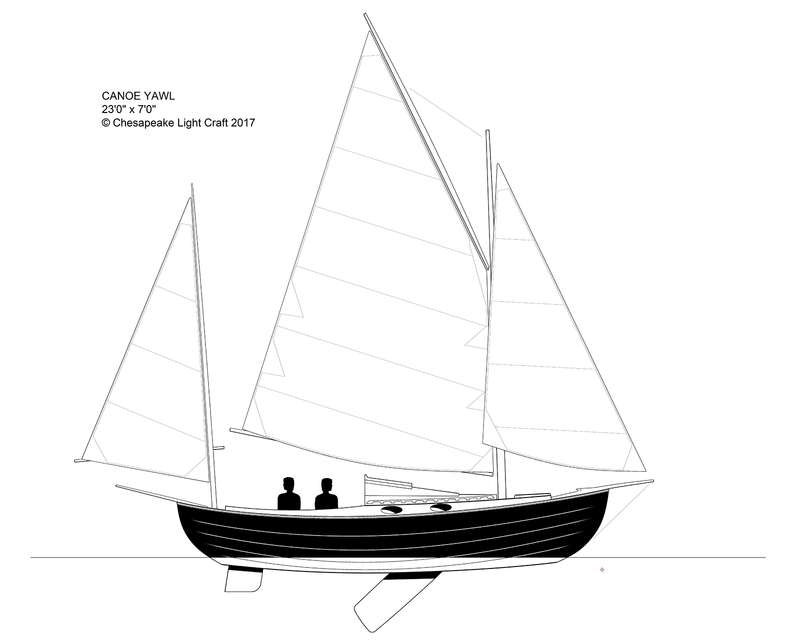 The 28-foot "LapStitch Canoe Yawl" resonated. It's among the less-finished sketches here. There would be some work to do on how to ballast her to stand up to that sailplan, and such a boat would be feverishly expensive in pre-cut kit form. $10k for just the basic hull parts? Something like that. 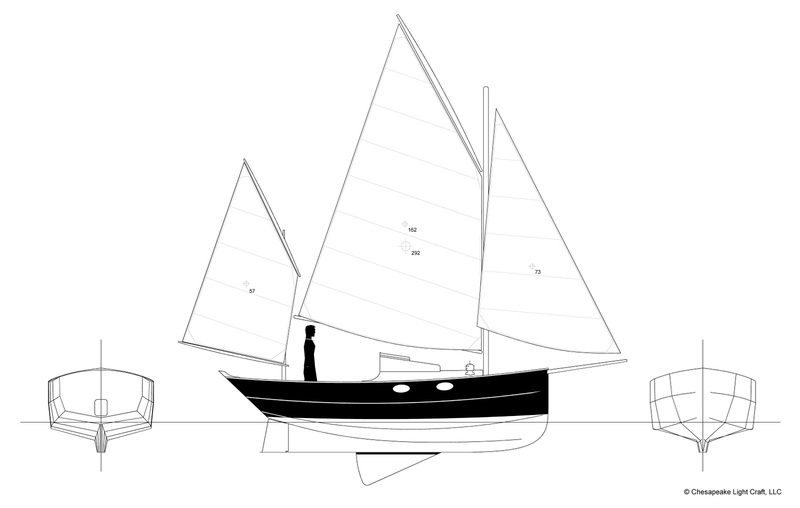 The prospective client who commissioned the sketch was adamant that the boat be engineless, which delighted me at the time but would sharply limit this design's popularity if it moved beyond the sketches. "PocketShip III" generated the most online commentary. My takeaway is that sailors like the looks of tidy, comfortable pocket cruisers with neatly-integrated auxiliary power and strong styling cues from 19th-century British fishing smacks. I like all of those things, too, so perhaps a revisiting of the concept will happen. My personal favorites, in order, were "Snowy Egret," Motorized Shantyboat, and Weekender 16. 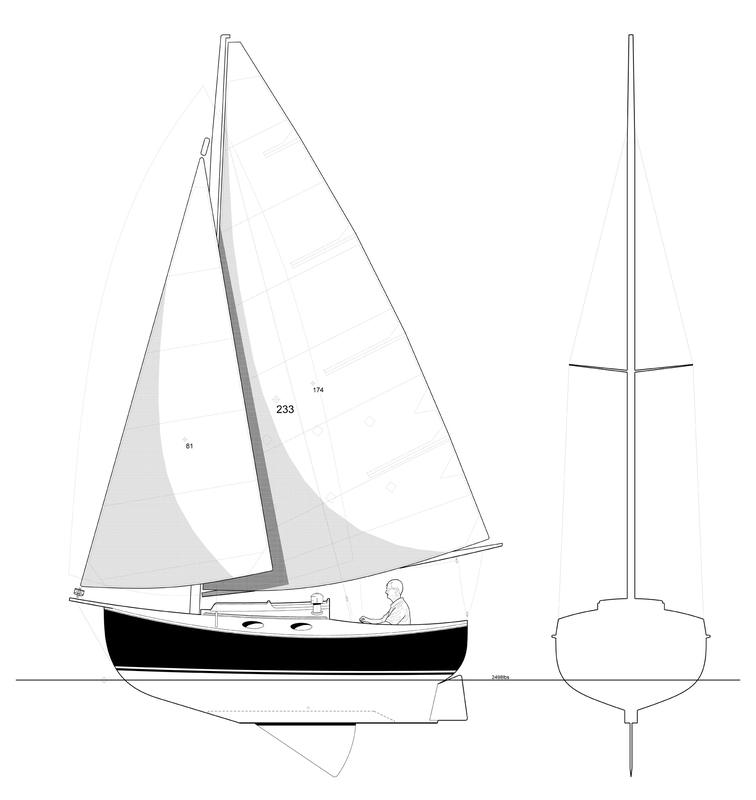 "Snowy Egret" comes the closest of the bunch to answering the question, "What's the best design for an enlargement of PocketShip?" Secretly I hoped the Motorized Shantyboat would win, and it's interesting that it made it to 6th place. The Weekender 16 is emphatically not a PocketShip replacement, though it does have slightly more cabin volume. I'd love to have one of those, both to look at and to enjoy gunkholing about the Chesapeake. 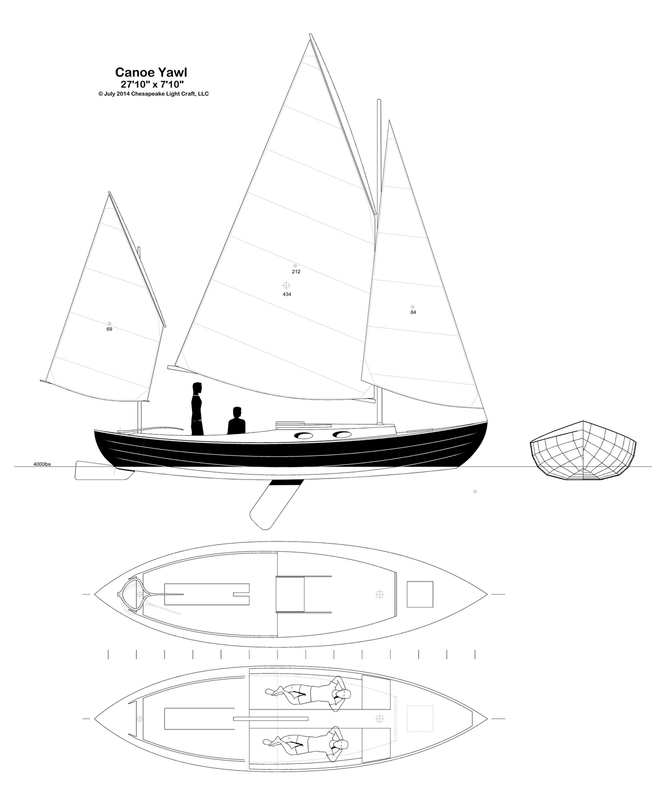 Until I figure out how to offer a 1000-pound cast ballast keel in kit form I doubt many will get built. What happens next? Well, I've got assembly manuals to put together for the Outrigger Junior and for Tenderly, two boats that started out as conceptual exercises, like the designs above, but which have found a very tangible audience who are ready to start building tomorrow. Bringing any of the top six or eight designs to build-ready condition will take hundreds of hours. I have on a number of occasions rolled out interesting, offbeat designs like these on speculation, but only because I could justify it as a personal indulgence. Unless I find a builder willing to pay for the time, these will remain on the shelf. Or, as it happens, pinned up on the walls of the bathrooms at CLC.